In an unexpected turn, The White House said that Nellie Liang, an economist and financial regulation expert nominated by President Trump for a seat on the Federal Reserve’s board of governors, had withdrawn her name from consideration. “I have decided to withdraw my name from consideration to be a member of the Board of Governors of the Federal Reserve because the likelihood of a prolonged process could have left me in professional limbo for too long,” Liang said in an email, as reported in an article  by Bloomberg. The article pointed out that Liang dropped out of her own accord and wasn’t pressured by the White House. “There haven’t been any White House discussions of withdrawing the other pending nominee for a vacancy on the Fed board, Carnegie Mellon University professor Marvin Goodfriend”, according to sources, Bloomberg said. The Fed would have had its first Asian-American, and just the 10th woman to serve on its board in the form of Liang. She was nominated in September. According to The New York Times , several current and former Fed officials applauded Liang’s nomination including Jerome H. Powell, the Fed’s chairman, who encouraged the Senate Republicans to confirm her. As the Senate Banking Committee did not schedule a confirmation hearing in the fall, and Ms. Liang’s nomination expired when the 115th Congress ended this month. 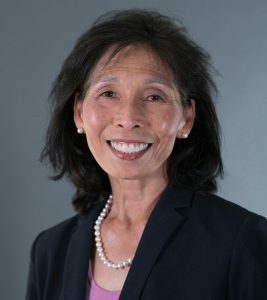 Liang has served at the fed for most of her professional life, helping organize stricter postcrisis oversight of the financial industry—the annual “stress tests” to determine whether the nation’s banks could withstand a severe economic downturn—being one of her significant initiatives, the article pointed out. Liang’s nomination caused unease among some Republican lawmakers over her role in helping to construct the post-crisis regulatory structure for banks. That, in turn, has triggered accusations that “Wall Street’s biggest banks were out to block her nomination,” stated Bloomberg. Liang is a fellow at the Brookings Institution and has served as a Fed staff for 30 years. She joined the Fed as a Research Economist immediately after completing her doctorate from the University of Maryland in 1986. Following the financial crisis, she was in charge of the department that monitored financial stability. Liang graduated from the University of Notre Dame in 1979. Liang’s decision to withdraw from consideration leaves two vacancies on the Fed’s seven-member board.